Sorry about that, although you really hadn't missed much lately… I just been doing my normal routine mostly, which is going to work and then watching some media (TV Shows & YouTube mostly) when I get home from work. Still I guess it hasn’t all been that for past few months (Although it certain been that way majority of the time since I don’t have much of a life. XD). I mean there were a couple of things here and there that I broke routine, so I guess I’ll share the highlights or cliff notes on those things. 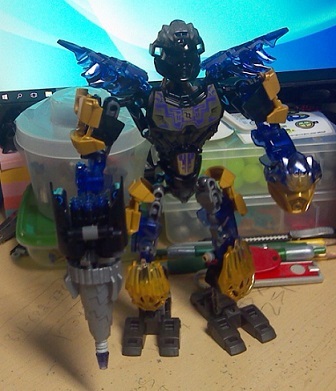 So first off, near the end of July, I helped out in BIONILUG Mosaic project (For those wondering, I did about half of the Pohatu Mata side for this mosaic, which is fitting since Pohatu Mata was my first Bionicle set). It was an interesting experience since I have never really done a collaborated building project like that before. Well, nothing like that in person… I mean I did do some mosaic panels for xccj in the past, but I just ship those out and of course, they were much smaller too. So yeah, it was interesting. I was quite a noob though compared to other people there (I am a pretty slow builder.) and I imagine I was pretty awkward to be around since no one there knew me very well. On the positive side of things though, I didn’t vomit, so that’s something to be thankful for. Moving on from that, I ended up checking out BrickFair VA for a Saturday Public Day in August (A friend drove me down since I am not ready to do the drive myself. ), which was fun and it was pretty cool seeing the finished product of the BIONILUG project that I help with. But anyway, it feels like it is too late for a recap now, so I’ll keep this short (Although I can still share the pictures if you folks want though). Hm… I think my only regret from that day was I forgot to say hi to TTV group, while I was there. Otherwise, it was pretty good day. I didn’t even vomit (Although that’s probably more of because I unintentionally fast the day before.)! As for possibility of going next year (Whether for a day or more), it looking pretty unlikely at this point, especially since highway driving stresses me out (After last weekend, I honest don’t want to drive on the highway ever again. New Jersey is scary…). I guess we’ll see, but I wouldn’t count on it. - Work has (thankfully) picked up last month that I have been able to get some overtime weekly again. Here’s hoping it is a good sign for 2017 since this year (until now) was incredible slow. - Pokemon Red Progress > I got all eight Kanto Badges and I hadn’t challenged the Elite Four though since I waiting till I have 149 Pokemon in my Pokedex. Currently I have 118 Pokemon (Note I need to train 5 more Pokemon to evolve too.) and I’ll be trying to get 26 Pokemon exclusive to Blue Version by the end of the month hopefully (I already have my old Gen 1 3DS set up with a copy to play.). Man, I can’t believe I am this close to a 100% Pokedex (Excluding Mew because there is no legit way to get it.). It definitely wasn’t as difficult as I thought it would be. As for my other self-imposed challenges, all Pokemon have been nicknamed and caught in Pokeball (No Great Ball, Ultra Ball, or Master Ball used), so I am doing well with those challenges so far. - I went to Zelda Symphony at Mann Center again. Not much to say beside that it was fun evening like always and I would definitely check it out again. Okay, I think that about sums it up on that topic. XD If you have any media (TV Shows, Movies, etc) that you think I should check out, please do let me know. With that said, I think that’s enough from me for today. I hope you all have a great day and thanks for taking the time to read this. P.S. – If anyone needs the Pokemon Volcanion, let me know since I have a few (6) extra code cards up for grabs. Hey, folks. Sorry, it has been awhile since I last wrote an entry here. I have just been busy with my usual life stuff (Work and binge-watch stuff mostly. XD), so you really didn’t miss anything (My Twitter @BZPJMJ covers most of what you missed, if you are really that curious.). But anyway, last weekend I decide to start a “new” journey through Pokemon Red (3DS Virtual Console copy) and well, I figure I should bring back this theme of blog entries since I know there are some Pokemon fans here. Plus, I feel like sharing and keeping track of my progress somewhere since I am attempting to catch all 150 Pokemon in Kanto (Not including Mew obviously because there is no legit way of capturing it. I refuse to use glitches to catch stuff.). This is going actually be first time that I attempt to 100% a Pokedex, so I thought it would be a cool thing to share my progress on here. And well, if any of you are more experienced with 100%-ing a Pokedex, I would appreciate any tips you might have. Before anyone mentions yes, I am aware that I will need Pokemon from Pokemon Blue (Such as the other starters, the other fossil Pokemon, the other Fighting “Gym” Pokemon, Trade Only Evolutions, and Version Exclusives) to complete the Pokedex. I do plan to play Pokemon Blue on my old 3DS at a later point to do that. For now though, I am just focusing on catching and training what is available in Pokemon Red alone since I don’t want to juggle two Pokemon games at once (Although it will mean I won’t have an Alakazam till Post-Elite Four, which stinks since they are my favorite Generation 1 Psychic Pokemon.). But yeah, that’s my basic game plan for this run through of Kanto, so let’s talk about my progress so far. Really not a whole lot to share since like with most Pokemon games, I move pretty slowly through them as I like to level grind my Pokemon to be close in level to one another. I would say it is paying off though as I completed two evolution lines (Caterpie & Weedle Families) and I have all Pokemon available in Routes 1, 22, 2, Viridian Forest, and Route 3 (Not including ones from fishing and surfing obviously). Last time I played, I had my first badge and I was working my way through Mt. Moon (Only missing Geodude & Clefairy). So yeah, while I am not making the best time in the world (I have 23 hours logged and I only at Mt. Moon. This is definitely not a speed run. XD), I think I am doing pretty well at least when it comes to the Pokedex so far. - Pidgey, Level 13 (Zoey; It is a reference to the time that Yogscast Zoey was wonder-trading Jigglypuffs in exchange for Pidgeys in Pokemon X. I tried to be one of the people to trade her the Pidgey since I nicknamed a Pidgey, Zoey, in X too. XD). Besides that, I guess I'll share my thoughts on returning to Generation 1 so far. Now when I first heard the news about the Generation 1 games (Red, Blue, and Yellow) being released on Virtual Console, I must admit that I was kind of mixed on it. This was mostly because I had thought with 20th anniversary, they would maybe remake Kanto (again) in the "new" 3D style in celebration of the anniversary. Instead though, they announced Gen 7's games (Which I am excited for.) and the re-release of Generation 1 in a digital format (Which in hindsight does makes sense, it just caught me off guard as Game Freak had never done that before.). There's also the fact that compared to the generations that followed, Generation 1 (and 2 really, even though I love Johto) had a lot of glitches and graphics wise some of Pokemon look very strange. It also doesn't have as many of features that I like from the later games (Running Shoes, Better PC layout, Pokemon Centers and Marts together, etc). And naturally that thought lead to the Generation 1 games as there only 150 Pokemon to collect in those games, so I figure I could start fresh there and use Pokemon Red as my baby steps for doing the National Dex in the future. That's about it really. Alright, that's enough from me for today. I apologize if this was kind of a boring read. I hope you all have a great day and thank you for taking the time to read this. Oh, and I probably try to do these Pokemon progress update entries once a week, if I can. But anyway, talk to you later, BZPers. PS - I should have a blog entry up about the leftover BZP shirts (Which I mention a couple entries back) sometime this weekend. So if you are interest in one of those shirts, be on the lookout for that. Hey, folks. I brought the Humble Telltale Bundle recently and well, I have most of games that it had on offer already, so I figure I give away some keys. So yeah, if you are interest in getting any of keys for these games, please do let me know. Thanks in advance. Hey, folks. It’s time for yearly tradition of telling you folks how my birthday went today. Like last year’s entry, there is really not a lot to share since this is a week day, so it was basically just a normal work day. Well, I guess I should say it is a boring work day since we are so slow now that I am just creating a list of critical parts and helping a coworker review old hard copies of drawings. So yeah, things hadn’t been great at work this month and last month, to be honest. Additionally, my job hunt hasn’t been going well and honestly I am pretty doubtful of my chances of finding a job in my field after my failed interview (Its first interview that I had in 6 years.) in February. So yesterday wasn’t the greatest 6th year anniversary of working for this company. Here’s hoping that things will improve as the year goes on. But anyway, since there isn’t a lot to share about today, I guess I’ll make this a more general life entry. To start off, last week I end up watching most of Marvel Cinematic Universe films for first time (I seen Iron Man 1, Ant-Man, and Guardians of the Galaxy previously.). That was pretty fun and I definitely can understand the appeal of these films. I also enjoy them more than DC multi-verse films (Man of Steel & Batman v Superman) that I saw recently, which is saying something since I know more about DC’s heroes than Marvel’s heroes. So yeah, that’s what I been up to with my free time lately; Binge-watching media as usual. XD I wish I could say I play some video games recently, but I hadn’t really play any since Stardew Valley (I was nearing the end of summer for Year 1) over two weeks ago. Actually I guess Miitomo & KHUx count as games. I mean I use Miitomo daily for the coins and KHUx, I try to get on it at least once a week. Although my phone’s battery life is suffering because of these games that I am considering maybe getting a tablet next month, so I don’t kill my phone as much. I am also having memory space issues since my SIM card is only 8 GB and I am not sure what I can delete to make space since not everything will transfer over to my micro-SD card. So yeah, I am probably going to be looking at tablets next month, so I can at least transfer KHUx over since that game is like 1 GB in size. That’s my free time lately in a nutshell really. I guess while I have you here, I’ll make some BZPower related announcements. First up, sometime next month I am going to set up a BZP shirt giveaway since I got a bunch of those in storage right now. So yeah, if you want one of Bionicle Raptor’s old BZP shirts, be on the lookout for that next month. I also got some other goodies, but I am saving those for possible contest that I might do during my BZP anniversary in July. So yeah, it should be interesting, assuming I get all details for that in order by July. Alright, that's enough from me for today. I hope you all have a great day and thank you for taking the time to read this. Talk to you later, BZPers. Oh, and thanks to those people that wished me a happy birthday. I appreciated it. Hey, folks. I thought I would pop in and give a quick life update. First off, I got a car! 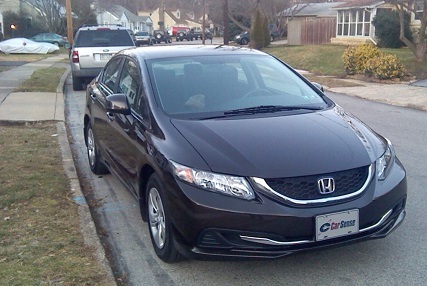 (Its a 2013 Honda Civic, to be exact.) And obviously I am pretty excited about that as I feel that it is going to open up a lot of doors for me (Job opportunities, going to places by myself, ect) this year. And well, I am now itching to like go places, which is odd since usually l just someone that goes to work and just go home and that's it. *shrugs* I don't know. I find it hard not to daydream about traveling places, even though I definitely need more experience on the road before I do anything big like travel out of state, ect. Actually I guess its not too surprising, I mean I was daydreaming about the stuff like that before I even had a car too. XD Speaking of that entry, I am probably going hold off on gym idea until I get a better idea what my monthly budget will be like. In other news, I got two of my wisdom teeth taken out last Friday. To say least, it wasn't a very fun experience (And well, I kind regret not going to sleep since my gag reflex acted up a lot... Mostly due my nerves to be honest. Only good thing that came out doing it this way is I saved $400; so yeah, my wallet is happy at least.). That being say (outside of first day), I am not really in any pain after the operation, so that's good. Really the only annoying thing right now is having to take penicillin since I can't swallow pills and penicillin tastes terrible. So yeah, that's not fun. 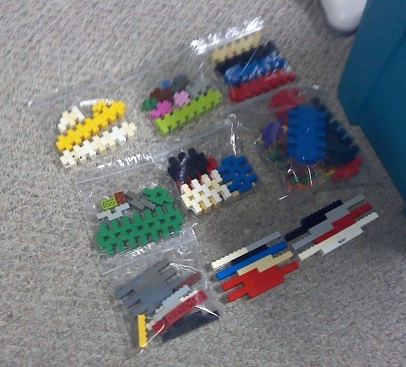 Beside that news, I guess I'll mention that I got couple of LEGO sets. 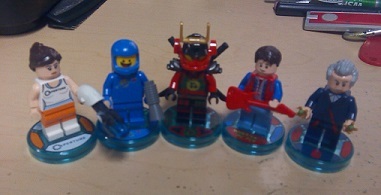 I got say the Ninjago one is really cool. I don't know the story for that year (Since I am couple years or so behind in story), but it looks really cool and that dragon was fun to build (Officially it also second Ninjago set that I own. XD Also I really hope I can get this one before it disappears from LEGO Shop.). Alright, that's about it really. I hope you all have a great day and thank you for taking the time to read this. Talk to you later, BZPers. Hey, folks. It’s been a little while since I wrote an entry here, so I figured I should post another general update. Really not a lot has happened since my last entry. I guess maybe go to a gym as I definitely need to do more physical activity in my day and I need to lose some weight. I am considering maybe joining the YMCA since it has indoor pool and well, I love to swim (I regret not swimming during my Virginia trip as it feel like forever since I have gone swimming.). Obviously it going to come down to the cost of membership and whether or not their pool is open for use during the night (and the winter), so I definitely have look a bit more into. As for traveling out of state, I am not really at experience level to do that yet and I don’t have the time (Only get like two weeks of vacation a year, after all) to travel too far out of state. Really the only expectation to this would be going to Delaware as it’s really close (Like you don't even need to go on highway to get there.) and the stores there have no sale tax. Alright, that’s enough rambling about possible car “adventures”. Let’s move on to how work been this month. I would say it been going pretty well this month, especially since last week I was given permission to get some overtime since apparently we had been enough engineering work this month to warrant it. However while it has been a good work month, the snow from last weekend unfortunately caused a roof leak above my desk, so I been without my work computer since Tuesday. XD Thankfully though, it doesn’t seem like anything serious was damaged (Outside of some water damage on my desk and some trash documents being soaked. ), although I am still waiting on news regarding my computer. Our IT guy seems to be of the opinion that my computer will be alright and should be back up on Monday, so only time will tell on its fate. That’s about it on work stuff this month. I guess next I’ll talk about some LEGO stuff, although there’s not much news to share really. 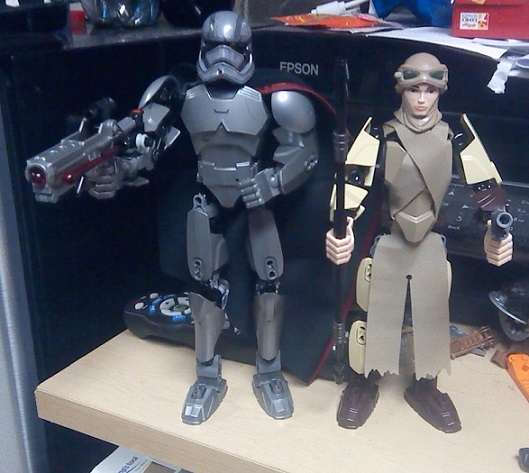 I got Rey & Captain Phasma Buildable figure sets at Target awhile back. To be exact, I got them on the day that I saw The Force Awakens for second time (It was just as good as first time. I would love to go see it again.). 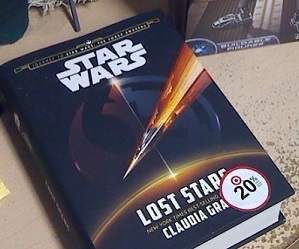 XD I also got a Star Wars book (Lost Stars, by Claudia Gray) based on Black Six's suggestion, which I need to finish reading that (I am on page 300). But anyway, Rey is my favorite build between the two sets. 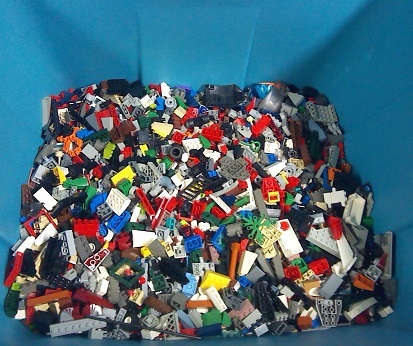 Besides that, last weekend I start sorting through my old LEGO Bricks. I think I made decent progress with that, although I am far from done. 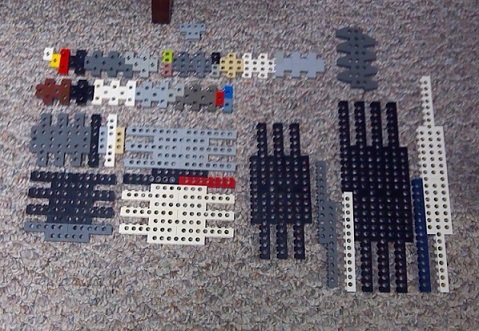 My ultimate goal for this is set up a organized system, so I can try to maybe experiment with making non-Bionicle MOCs, ect. Not sure how well that will go, but I am going to give it a shot. Alright, that's enough from me. I hope you all have a great day and thank you for taking the time to read this. Talk to you later, BZPers. P.S. 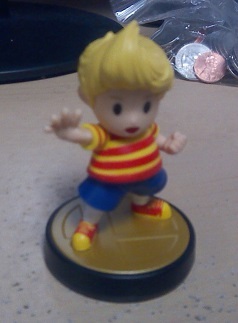 I got a Lucas Amiibo yesterday! And well, I must admit I am feeling rather nervous about it, even though I do seen have been doing good the past few days during practice. But anyway, thanks for taking the time to read this and I hope you all have a great day today. I'll talk you later, BZPers. Update 01/08/2016: Well, this year is starting off good. I passed the driver's test today!!! I guess the next step is to look into possible cars now, which is probably going to take awhile since I have no idea what car to even look into getting at this point (Well, I think of maybe looking at some used Ford Fiesta, so I guess that's a start). This is certainly going be interesting year now that I can actually drive myself to places now (once I have a car and insurance). Who knows maybe if I do go to BrickFair VA again, I could try to drive myself down, assuming of course that I feel comfortable enough on the highway to do so (I'll admit I doubt that I will comfortable do that by this summer, but maybe in the distant future. *shrugs*). But anyway, that's enough day-dreaming about future possibilities. Thanks for all the well wishes on the test today and for taking the time to read this. I hope you all have a great day today. Talk to you later, BZPers. Hey, folk. Yesterday was last day of my work break, so I thought I should continue the tradition of recapping my break for you folks here. Although to be honest, it was really unproductive break from work (Like there was a lot of organizing and cleaning that I want to do, but I never got around to.). Still it nice though, especially looking after a rabbit for few days (I must admit that I liked having Coco around. It was nice having company.). Beside watching the rabbit during my break, I also watched through the entirety of Star Wars: The Clone Wars for mostly the first time (I should note that Season 1-3, I have seen before. Season 4-6 though were completely new to me though). And I liked it so much that I end up checking out Star Wars: Rebels for first time afterwards (I just finished doing that yesterday actually and I must say I am quite enjoying it.) and man, I can't wait for rest of Season 2 of Rebels. Alright, one last thing before I go, I just want to apologize for not getting at least one gift for most of people on my Steam friend list this year. Steam was having some issues on the day that I trying to buy some stuff during the sale, so I kind of mostly avoided sales after that as it scared me. XD So I am sorry if I didn't get you a holiday gift this year, but I hope you folks had a good holiday. That's pretty much everything happened during my break. Like I say earlier, I wasn't very productive. I would ramble more about stuff, but I don't want take anymore of your time. So thank you for taking the time to read this and I hope you all have a great day today. I'll talk you later, BZPers. Hey, folks. Since its last day of 2015, I thought I should take opportunity today to basically look back on this year and give you folks my thoughts on it. Like last year, I am going to summarized it in a pros and cons list since I think that was pretty good method of doing it. Before I start though, I thought I would share really quick what I got during the holidays last Friday. It's not much really, but I don't really need anything. That's pretty much everything I got during the holiday. I mean I did end up buying later for myself, a second monitor (I been wanting to go dual monitor for awhile now. Mostly because of I really like that setup at work. So yeah, I got two monitors now.) and a TV for my brother (He brought himself a PS4 and well, I figured he probably wouldn't want me annoying him playing online shooters, so I brought TV as belated holiday gift.). Besides that stuff, I had a good holiday with my family and I had fun looking after a rabbit for awhile. 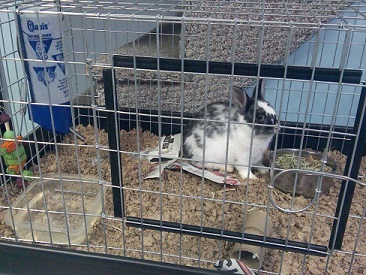 Hm...I must say that I miss having Coco (the rabbit) around (She went to my brother's girlfriend's house yesterday.). It was well, nice having the company. But anyway, that's enough about how my holiday went. Let's actually get to talking about 2015 as a whole. - Like last year, I still have my job, which is something that I am grateful for. Especially since it been a tough year for my company since as mention before, our overtime hours were cut since we weren't getting enough work. Things thankfully do seem to be getting a little better though, so here's hoping 2016 is better year for my company. - I celebrated my 10th anniversary of BZPower and I got to share a pretty cool piece of Bionicle history from the 2000s. 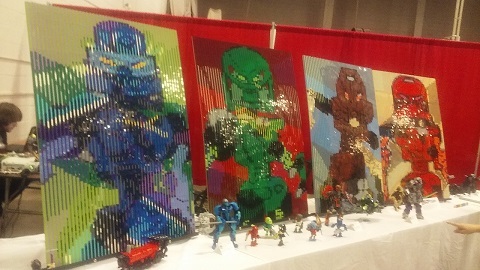 - I somehow managed to attend the convention days of BrickFair VA, which honestly I still can't believe that happen this year. 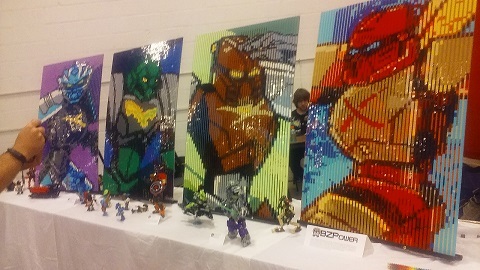 I never thought I would get to see what things were like at BrickFair VA. I am thankful that my friend was willing drive me there and hang out with me for like almost a week. It was interesting experience to say the least. 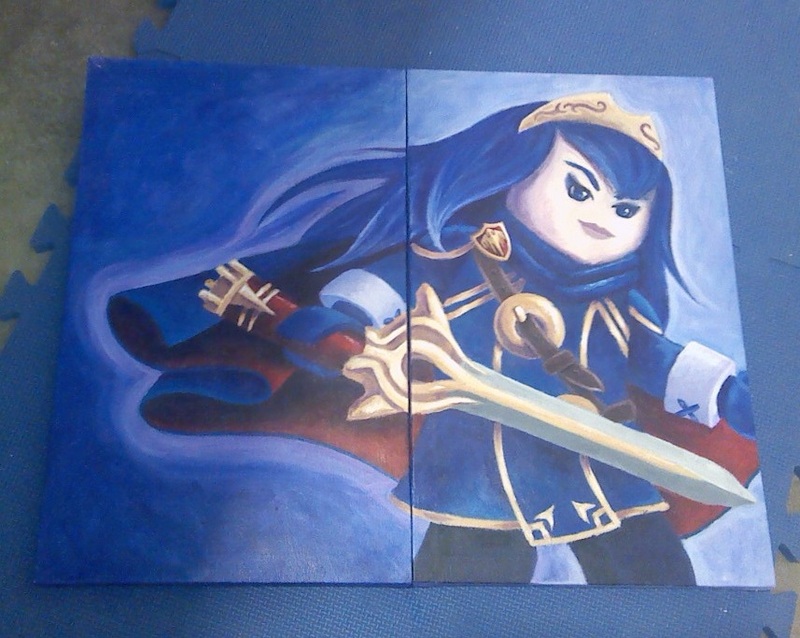 I got to high five DeeVee (Which was pretty cool), I got a painting of Lucina from Nuyaka, and I met quite a few BZPers (Lady K, Makuta Luroka, AT, Aanchir, Lyichir, ect). - I got to checked out the Zelda Symphony again, which was a fun evening in my opinion (Although we did end up leaving a bit early near the end since my friend wanted to avoid exit traffic). - Like last year, my family and I are still in good health mostly (We did briefly have a cancer scare with my mother, but it turned out benign thankfully.). - While not as in-depth as I would like (I would like to have seen a bit more world building. ), I would say BIONICLE 2015 story did a good job with what it had and the story animations in general were pretty good. Beside story elements, I like what I have seen in the sets that I have (Pohatu, four Protectors, and Mask of Creation Titian set). It's nice to have gear functions back. - I managed to host another little giveaway here back in August and I think it went pretty well. I was actually considering doing one for BIONICLE Chapter Book #2, but I didn't really have time to set that up sadly. - I got to see Star Wars: Episode VII - The Force Awakens, which is my personal movie of the year. - Like previous years, I still have my one real life friend, so I hadn't completely been engulf with feelings of loneliness (Although I will admitted I did have a few moments of this at vary points in the year. But eh, that's life of someone that is terrible with people.). - Lastly, I have continued to make donations to vary charities and stuff throughout the year. - As mention above, it hasn't been a great year for my work and I hadn't had much of any luck in finding other employment (Most jobs in my field are like an hour or so away from my location, which isn't an easy commute for someone that can't drive.). - Like previous years, I still don't have driver's license. However unlike previous years, I have actually scheduled for the test now, so that might just change next week if I am successful. So there's hope that I might be starting off the new year with a license. - BrickFair VA wise, I don't think I was as sociable as I could been and I feel kind of bad, not getting to say good bye to some people. *shrugs* I also tripped and scrapped up my arm and have vary of stomach issues. So while it was fun time, there definitely was some pitfall to the trip. Overall, I guess you could say that 2015 was mostly positive year for me. I mean certainly it wasn't all sunshine and rainbows, but it could been worst. That's about it for my goals. But anyway, I have kept you folks here long enough. I hope you all have a great new year and thank you for taking the time to read this. Talk to you later, BZPers. Oh, and Happy New Year, BZPower! Hey, folks. It's that time of year again, when I am off from work for about a week. Really there isn't much to report life wise since my last entry. I guess I'll talk briefly about work, although there is not much to report as things are still kind of slow there (as mention in this entry). So yeah, it hasn't been a great year for my company. I would say things seem to be improving though. I mean I had plenty of work to do this month (I currently have like three ongoing assembly projects going. ), so I can't complain. That and well, I hadn't had much luck in job hunting front. Actually I guess that's not entirely true as I did have a company that was interest in possibly interviewing me. I have to turn it down though since it was a bit too far out for me (About an hour or so drive) and well, I don't have driver license. Oh, her name is Coco. Also I must admit I like having her company, so I'll probably be sad to see her go on 28th. That's about it really. I am not sure what I'll be doing with my free time this holiday break. I guess watching the rabbit, practicing driving mostly, and maybe playing a video game or two. Speaking of video games, I actually just finished a game called Aviary Attorney recently. I quite enjoyed it. It is pretty similar to Ace Attorney series, but a bit more involved in terms of investigation (Like you can actually miss stuff, especially in Case 3). I would say more, but I am reserving my full thoughts until they release third alternate ending (Act 4C). Please let me know if you guys want me to share my full thoughts on it here when that happens. 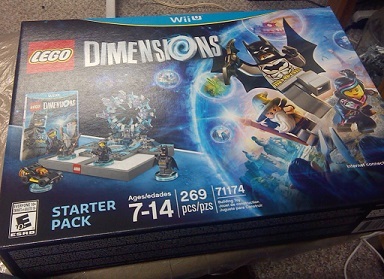 Another video game worth mention is LEGO Dimensions. I got that last weekend (I hadn't had the chance to play with it yet.) among a few of the packs since it was on sale (That and the Best Buy Gamers Club 20% off thing apparently apply to it and figures, even though it was on sale already.). So I should probably check that out during my break. And well, obviously I am going to be playing Xenoblade Chronicles X during my break since I been itching to do that. Alright, well, that's all I really have to say here. Thank you for taking the time to read this and I hope you all have a great day today. I'll talk you later, BZPers. Oh, and Happy Holidays to those that are celebrating a holiday this week.